The FHA mortgage program is a government-backed mortgage loan program that is insured by the Federal Housing Administration, or FHA. FHA loans are especially popular with first-time homebuyers because they require lower minimum credit scores and down payments than many conventional loans. FHA borrowers must pay for mortgage insurance to protect the lender from losses if the borrower defaults on the loan. FHA loans are wonderful for home buyers with low to moderate income, individuals with little cash on hand for a down payment, and borrowers that are unable to qualify for a conventional loan due to their less-than-perfect credit history. FHA loans are available to repeat buyers as long as it is used to buy a primary residence. Some mortgage insurance premiums are deductible. For FHA loans, only the upfront mortgage insurance premium can be deducted for 2018. Your ability to deduct the FHA mortgage insurance depends on the home’s occupancy status and your adjusted gross income. 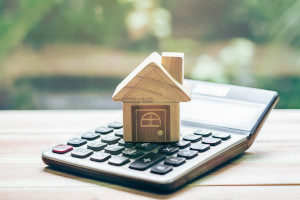 You can only deduct the upfront mortgage insurance premiums that you paid out-of-pocket at the loan closing if your adjusted gross income meets IRS limits. Also, you must occupy the home as your principal or secondary residence. The tax code prohibits the mortgage insurance premium deduction on rental property. Note also that your ability to deduct the FHA mortgage insurance premium was affected by recent changes in the tax laws The FHA mortgage insurance premium tax deduction is an itemized deduction. For 2018 taxes, your itemized deductions, including any mortgage insurance you paid on your FHA loan for the tax year, need to exceed the standard deduction. If your itemized deductions are lower than the standard deduction, it makes more sense to use the standard deduction. 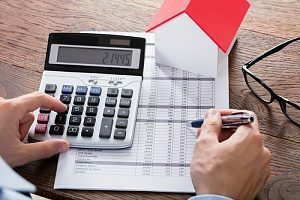 Tax code changes increased the standard deduction amount, nearly doubling it to $24,000 for a married couple, meaning fewer homeowners are able to use the mortgage insurance deduction. For 2019, the floor limit for FHA loans in most areas of the country is $314,827 (increased from $294,515 in 2018). For high-cost areas, the ceiling is $726,525 (increased from $679,650 in 2018). If the borrower has had a bankruptcy, the borrower must wait 2 years after the bankruptcy to apply for an FHA loan. If the borrower had a foreclosure, the borrower must wait 3 years to apply for the FHA loan. Additionally, these borrowers must have re-established a positive credit history since the bankruptcy or foreclosure. In some cases, lenders may make exceptions on waiting periods for such borrowers. Generally, people with credit scores under 500 are not eligible for an FHA loan. That said, the FHA can make allowances for certain loan applicants with “nontraditional credit history or insufficient credit” as long as the applicant meets other criteria. Any time a borrower puts less than 20 percent down, the lender will require the borrower to have mortgage insurance. Mortgage insurance insures the mortgage for the lender in case the borrower defaults. Mortgage insurance is important because it allows borrowers to buy homes with a smaller down payment. An upfront mortgage insurance premium of 1.75 percent of the loan amount. This premium must be paid when the borrower gets the loan. The premium can be rolled into the financed loan amount. An annual mortgage insurance premium ranging from 0.45 percent to 1.05 percent of the loan. The exact amount will depend on the loan term (15 years, 30 years, or other term), the loan amount and the initial loan-to-value ratio, or LTV. This annual premium amount is divided by 12 and paid monthly. First time homebuyers can benefit greatly from an FHA loan, and it may be just the advantage you need to purchase the home you have always wanted. Be sure to review the requirements that you must meet to qualify for an FHA loan with an experienced mortgage broker. Contact Fairfax Mortgage Investments for more information and to discuss your eligibility.